I read this book as part of my reading list this year after reading an article. Although this book concept is pretty much old since 1992 but it still considered as the best book on money. This book is about how you manage your financial life. How to be financially independent through 8 simple steps (Check synopsis here). Of course there is no shortcut if you want to be FIRE (Financially Independent, Retire Early). Investing, saving money, running business, working your daily job as part of your life journey. This book is not only about money but also life. A book to make you more inspired to live a life of meaning, purpose, and adventure. To think on using your money in meaningful way. It is perfect book if you are looking for day-to-day financial advise. I know it sounds like I really want to sell out this book but I am truly recommending to read this book. Here are some highlights and my personal notes from the book. It could be useful for your reminder to use your money wisely. Everything we do exacts a cost from the environment. You can save your planet and also saving more money since everything we bought will be always impacted to our environment. You know that money doesn’t buy those things. You want more money so that you can have more freedom to be yourself without worrying about the money. Likewise, you don’t want more money to boost your self-esteem. You want more money as an expression of your self-esteem, of valuing your life energy. Somehow this reminds me of Jocko Willink “Discpline Equal Freedom”. Discipline your money usage to free yourself would be very ideal (but very possible!) to maintain your lifestyle and change your relationship with your money. If you see your life as bigger than your job and can conceive of having to work for money for only a finite and foreseeable period of time, then you are likely to be an even more highly motivated, high-integrity worker. 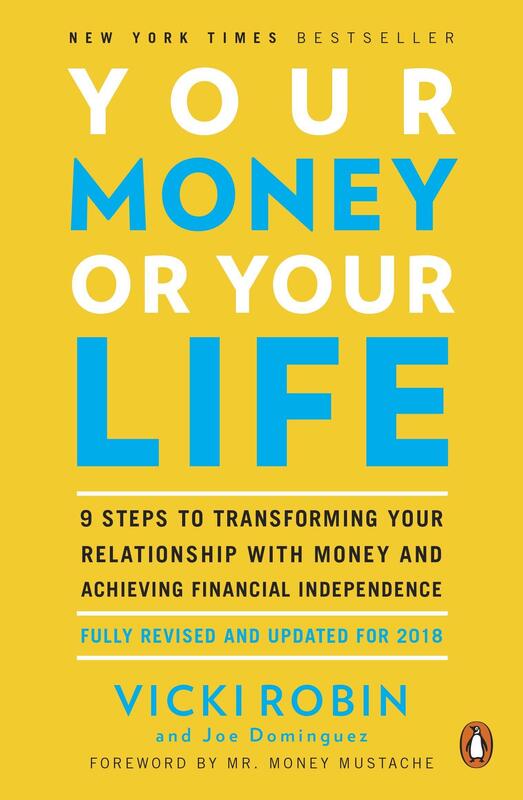 Like the title of this book: Your Money or Your Life? This sentence surely make me re-think my current life choice and reflect what I have done so far with my work and career. Do you work for life? or Do you live for work? You definitely can’t have both in the same time. But maybe at this moment you are doing one of them towards goal to be another one.